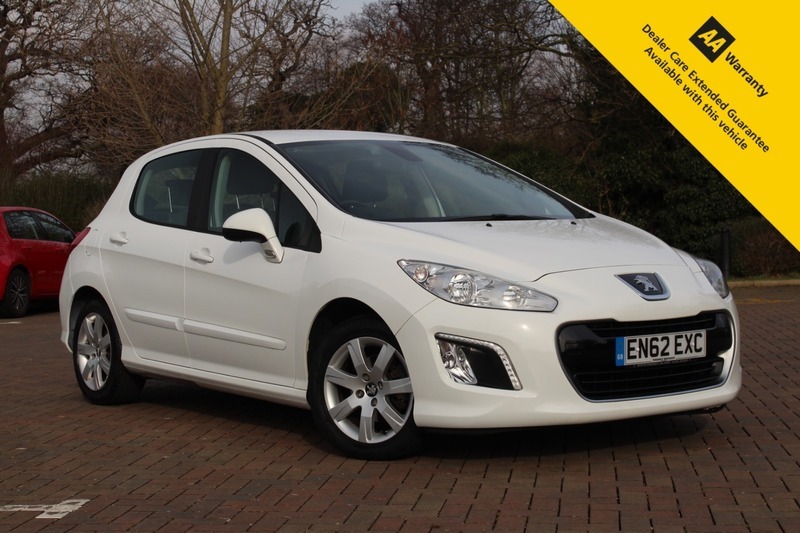 Here for sale at Leigh Cars Ltd we have a superb 2 owner low mileage example of the popular and versatile family hatchback Peugeot 308 1.6Hdi Avtive 5dr. This particular example is finished in the very popular white paint and comes with 2 remote keys and a new MOT expiry February 2020. It has an impressive specification including cruise control, bluetooth connectivity, electric windows & mirrors, auto lights + wipers, alloy wheels + much much more. This car has been very well looked after inside and out and is great condition for the age and mileage of the vehicle, credit to its previous owner. This car would be ideal for any growing family looking for that extra space or maybe someone who needs a reliable cost effective way of commuting. With such impressive specification and looks you can see why these stylish Peugeot 308's sell quick. At only £20 a year to tax and averaging in excess of 60mpg, the running costs are great for such a spacious family hatchback and would be ideal for commuting. This lovely example is ready to be driven away in under 1 hour - so hurry and book in your appointment today.